Bright and bold and bound to add vibrancy to any space in your home. 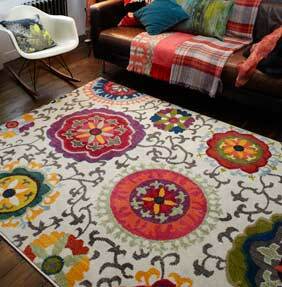 The Colores Rug Collection does what its name suggests and adds real colour to your home. The collection is packed with fun styles and vibrant colourways and whilst they offer real decorative qualities, they also provide a practical and durable floor covering for your home. The Colores Rug Collection has been designed to last. Each rug is power loomed in Turkey and constructed from 100% polypropylene. There are a range of sizes available to go with the many different patterns and colours, so you can find a Colores rug that suits your home.